Any serious small business needs to have a professional-looking website. However, before you launch your site there are a few things that you’ll want to think about first to make sure you get started right. One of the first things you should consider when preparing to build your small business website is what platform and host you will use. While you may not understand the difference yet, the truth is that the tools you use for building and hosting your site can have a great impact. Different web platforms come with different learning curves, capabilities, and pros and cons. It pays to weigh your options if you want your site to be able to grow along with your business over time. 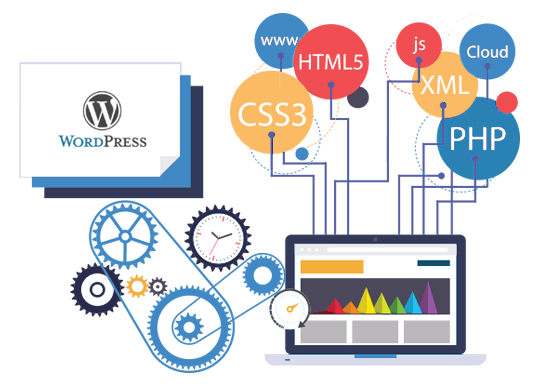 If you want to have a lot of flexibility with your site or want to host a blog, you may want to choose a responsive WordPress-based website. Additionally, it’s important to get a reliable web host for your site. A reliable host will ensure that your website doesn’t experience extended downtime or have slow loading times. Consistent downtime or a site that loads slowly can have a negative impact on the user experience, frustrating customers and making them less likely to visit your site in the future. Getting the attention of a potential customer is only the first step. While a promotional tool such as an air dancer or a large neon sign may convince someone to step into your store, you still need to deliver the goods once they come in. The same is true about your website. You need to be prepared to sell your business and fully explain your services to potential customers online. As part of this, it’s important to collect testimonials from trusted customers and to display them on your website. Testimonials can go a long way in convincing potential customers that you mean business. Additionally, during your website creation, you need to make sure that your website will be properly targeted. There should a clear call to action on the homepage and on any other top pages of your site. You should make it clear what you want a potential customer to do when they land on your page. This may mean encouraging your potential customers to order a service, buy a product, request a free quote, or simply contact you. There’s no point in putting up a website for your business if it’s only going to frustrate customers by being difficult to use. It’s essential that you plan out ways to make your website easy-to-use and navigate. For starters, you should make sure to pick out the perfect domain name. Your domain name should clearly relate to your business and be easy for customers to remember. Make sure your domain name is short and simple and doesn’t include special characters or spellings that may be hard to remember. Ideally, it will be as close to the name of your business as possible. Additionally, you should make sure also that all menus are properly set up. A user should be able to simply and easily navigate your website and find everything they are looking for. Finally, don’t forget to add a prominent contact page to your site. Building website is useless if your customers don’t have a way to get in touch with you. While a small business website is incredibly valuable for listing your services and allowing a place for customers to contact you, there are a few more things to think about during your website preparation. Your website needs to have a high-quality design that is not only functional but also looks amazing. This will likely include high-resolution photos of products or services, professionally-designed graphics, and a great looking website layout. If you’re artistically talented, you may choose to work on some these things yourself. However, it’s an excellent idea to outsource some of the design of your website to graphic designers or web designers. While it may cost a bit more upfront, hiring a professional can make all the difference in making your website shine. A graphic designer, for example, will be well aware of the best website design trends and will be able to make your website look amazing. Finally, you need to know what are you trying to achieve with your website. Are you trying to collect new leads, create a space for current customers to interact with you, or simply trying to increase awareness of your brand? Whatever your goal, you need to decide on it beforehand. Having a goal in mind through the website preparation process will help you to focus every part of the website. It will help you make sure your site is targeted towards your business’ end goals. If you’re focused on getting customers further down the sales funnel, make sure you create a website that makes it easy for customers to find what they’re looking. This is true whether you want to lead customers to a product or service that you offer or simply a form to fill out to get a free price quote. It’s not enough to simply have a website. By considering the above tips when getting ready to launch your website, you’ll already be well ahead of competitors. You’ll ensure that your website is not just dead weight, but a tool for gaining new leads and customers. Your website is the face of your business on the internet, so it needs to be focused and professional. If you build your website right from the beginning, it may just help your business grow for years to come. Contact us for professional support in creation of your business website.